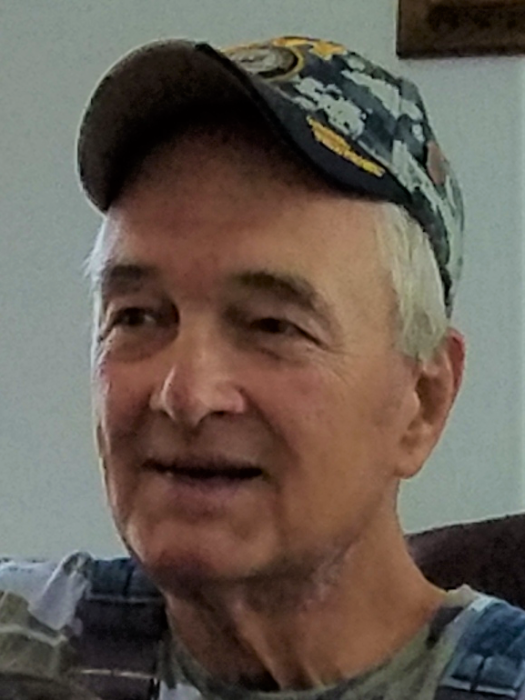 Michael “Mike” E. Hogan, 71 of Kewanna, passed away at 12:41 a.m., Wednesday, November 28, 2018 at Parkview Hospital Randallia in Ft. Wayne. Born on July 3, 1947 in Hammond, he was the son of the late John “Jack” E. and Florence (Brown) Hogan. Mike was a 1965 Kewanna High School graduate. While a student at KHS, he enjoyed playing basketball and playing trombone in the school band as well as the jazz band, The Outcasts. He was a proud U. S. Navy veteran serving in Vietnam from 1965 to 1968. In his later years, he experienced the effects of exposure to Agent Orange. He was a long-time employee of Sealed Power in Rochester and then Winamac Coil Spring in Kewanna. Mike was a member of VFW Post #1121 in Kewanna and enjoyed supporting his fellow veterans. Mike was known fondly by many for his kind nature, his sense of humor, and his lifelong love of music. He cherished his children and granddaughter, loved spending time with friends and singing karaoke. He also enjoyed listening to music and taking drives in his vehicles, collecting eagles, cuckoo clocks, and military memorabilia. Survivors include his children, Johna Bouda (fiancé Dave Schultz) of Guion, Arkansas and Noah Hogan, currently in Afghanistan; granddaughter Bryony Hogan of Westfield, IN; sisters, Kathleen Dees (Rudy) of Visalia, California and Wendy Kelly (Daniel) of West Lafayette; brother-in-law, Darrell White of Indianapolis, and several loving nieces and nephews. He was also preceded in death by sisters Janice Graham, Linda Federer, and Alice White; brothers-in- law Ozzie Graham and Joseph Federer. Services will be held at 11:00 a.m., Monday, December 3, 2018 at Harrison-Metzger-Rans Funeral Home & Crematory, Kewanna Chapel. Visitation will be from 1:00-3:00 p.m., Sunday, December 2, 2018 at the funeral home. Burial with Military Rites performed will be at Citizens IOOF Cemetery in Kewanna. Mike’s children request that in lieu of flowers, memorial contributions may be made to the Kewanna Volunteer Fire Dept., First Responders, and/or the Fulton County Honor Guard.